When looking into redecking or building a new deck for your Harford County, MD home, you may have noticed you have several options. Hardwood is common and looks great, but it does need to be carefully managed and weatherproofed to make sure it doesn’t fall victim to weather. Composite decking, however, looks just as nice with less maintenance. Is composite decking right for your Harford County, MD home? If you’re researching your options, here are 3 reasons to choose composite decking for your redecking or new deck project. Composite decking is a very affordable option in many ways. First of all, the up-front costs are very economical. This is a huge benefit for new decks and for redecking. But there’s also the benefit of few, if any, costs down the road. Because of its durability and low-maintenance properties, you won’t spend much money maintaining your composite decking during its lifetime. Extremely weather resistant, composite decking is a great option for those who live in areas with four seasons, such as Harford County, MD. 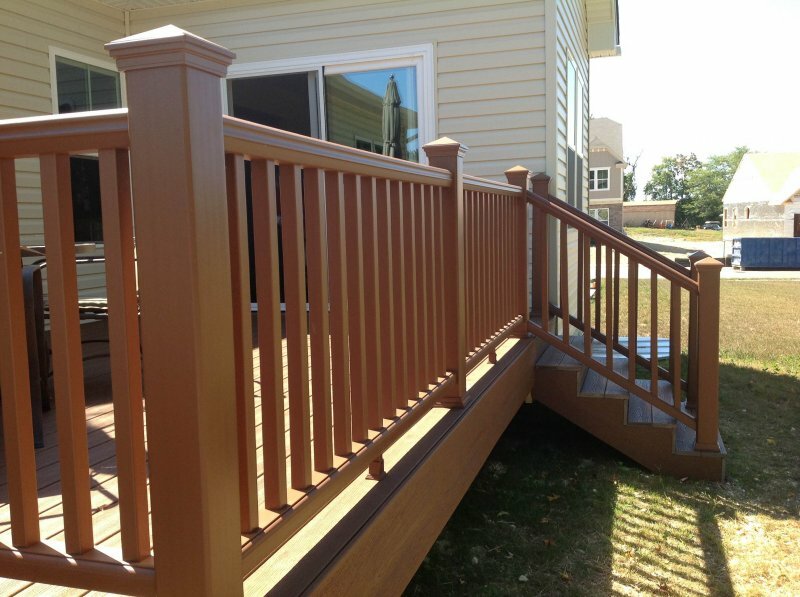 It can withstand winds, rains, snow, ice—any weather element you throw at it, composite decking will not give in. You won’t have to worry about rotting, splintering, or other common deck issues. And then, of course, there’s the benefit of curb appeal. Composite decking is very attractive, and increases your home’s value. Because they are low maintenance, good-looking, and last a long time, they are great investments to make to your home. You’ll have a return in your investment if you do sell your home, as it will be worth more with this type of deck. These three things are very important considerations when choosing what type of decking you want to use for your redecking or new deck project. While wood is an attractive and wonderful option for many homes, composite decking is a better option for some homes as well. It depends on the project, the home, and the location. If you have questions about which type of decking would be best for you, you can always ask the local experts: Freedom Fence and Home. Freedom Fence and Home, which services the Harford County area, provides vinyl fence and vinyl fencing services for homeowners who want to improve the look, and value, of their homes. Our crews are highly trained and have been performing construction for years. You can view our gallery to familiarize yourself with our work. If you have any questions about composite decking, please contact Freedom Fence and Home by calling 443-271-6841 or visit our website. You can also follow us on Facebook and Twitter! This entry was posted on Wednesday, November 18th, 2015	at 3:21 am	. Both comments and pings are currently closed.